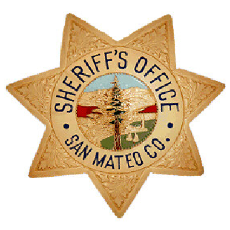 Possession of a controlled substance in Montara, auto burglary at Gray Whale Cove, warrant arrest, grand theft of a $1,000 bicycle in El Granada, auto burglary at Ano Nuevo, public intoxication in Montara, and some ill-advised drunk driving on Devil’s Slide. Deputies were dispatched to a report of a reckless driver who was northbound on Devil’s Slide and just hit a retaining wall. Deputies caught up to the vehicle and contacted the driver. They could smell the odor of an alcoholic beverage coming from the driver. He admitted to drinking before driving. Field sobriety tests were conducted and failed. The driver was arrested and taken to the county jail. 4049 08/30/11 @ 2356 hours 700 block of Rivera Rd, Montara Possession of a Controlled Substance Deputies contacted a subject and found him to be in possession of a controlled substance. He was arrested and taken to the county jail. 4091 09/02/11 @ 1847 hours Gray Whale Cove PC460 Auto Burglary On 9/2/11 at approximately 1847 hours, an unknown suspect(s) smashed the rear passenger’s side window and took victim’s belongings without permission. 4094 09/02/11 @ 2346 hours Hwy 1 / Pomponio State Beach Warrant Arrest Deputies made a traffic stop and contacted the occupants. One of the passengers was found to have a $20,000 outstanding warrant for his arrest. He was taken to the county jail. 4097 09/03/11 @ 0800 hours 100 block of Madrid, El Granada PC487 Grand Theft Sometime between 0515 hours and 0800 hours on 09/03/2011 an unknown suspect removed the victim’s motorized bicycle that was chain-locked to a rail in front of his residence. The victim states that the bike is worth approximately $1,000. 4112 09/03/11 @ 2017 hours Ano Nuevo State Beach PC460 Auto Burglary PC484 Stolen Credit Card Unknown suspect(s) entered victims locked vehicle via window smash. The take was a purse containing $70.00 in cash, and several credit cards. A charge was made on one of the stolen credit cards in the amount of $1000.000, at Williams Sonoma retail store in San Francisco. A charge was also attempted at an Apple Store in San Francisco in the amount of $1800.00; however the charge was declined as the card had been cancelled. 4118 09/03/11 @ 2232 hours Harte Street / Portola Ave 647F public Intoxication Subject was found intoxicated and passed out on the side of the road, partially lying on the black top of Harte Street. He was arrested and booked into county jail for 647(f) PC- Public intoxication. 4145 09/05/11 @ 1232 hours Open Space South of Beach Ave. Incident Report Deputies were dispatched to a report of an adult male and his dog that had fallen off the side of a cliff. Cliff Rescue trained staff set up the necessary gear and repelled down to safely recover both the male and his best friend. 4150 09/05/11 @ 2201 hours Devil’s Slide VC23152A DUI Deputies were dispatched to a report of a reckless driver who was northbound on Devil’s Slide and just hit a retaining wall. Deputies caught up to the vehicle and contacted the driver. They could smell the odor of an alcoholic beverage coming from the driver. He admitted to drinking before driving. Field sobriety tests were conducted and failed. The driver was arrested and taken to the county jail.